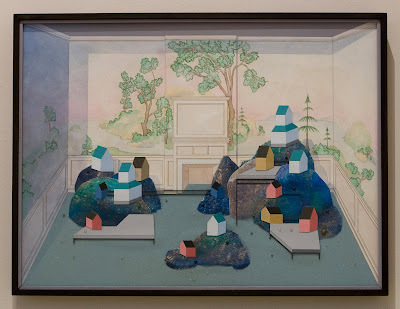 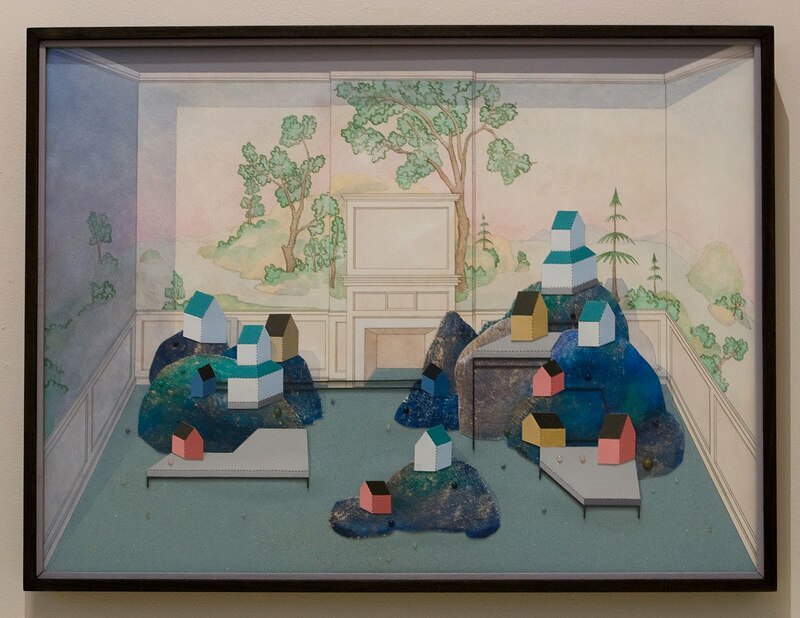 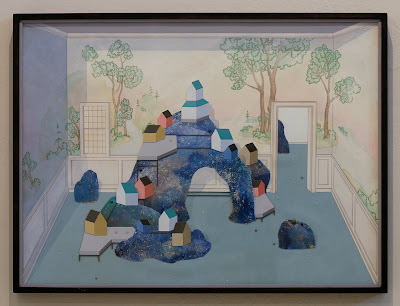 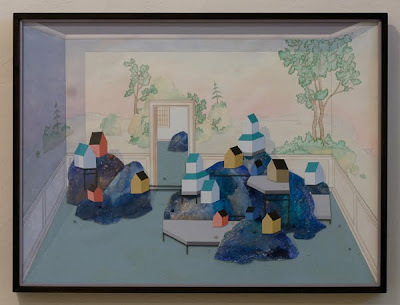 A series of four mixed-media drawings depicting installation views of gongshi island landscapes arranged within Period gallery/exhibition rooms. 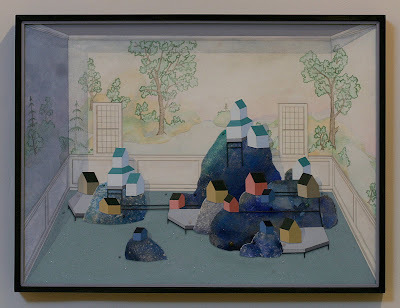 Exhibited in Decidedly Ambivalent at the New Art Center in Newton, Massachusetts, Fall 2009. Ink, Pencil, Acrylic, Glass, Wood & Stones on Paper, Framed. 22" high x 30" wide x 2.75" deep.